Add ClickUp's Notepad to the bottom of your screen to easily jot down ideas, reminders, and checklist items wherever you go! 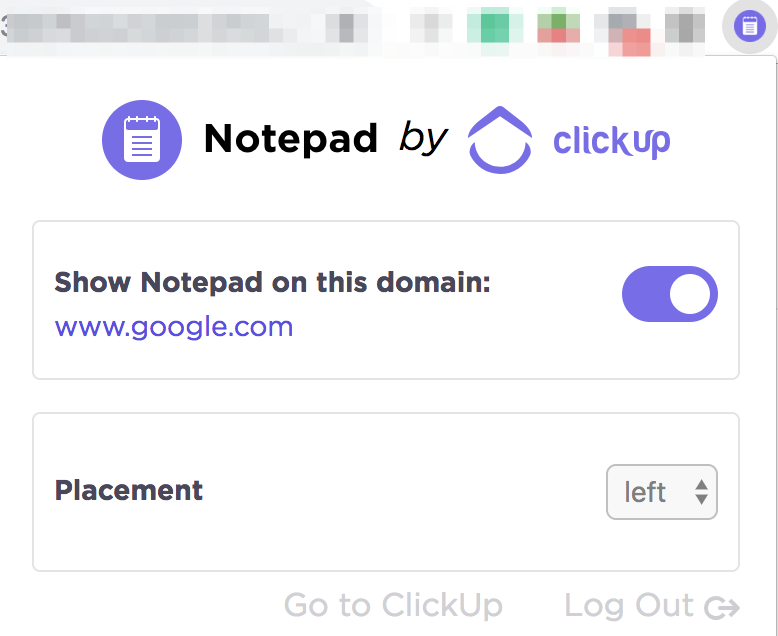 Note that if you have a ClickUp account, the extension will automatically connect to your in-app Notepad. By default, the Notepad is visible in the corner of your screen on every website you visit. However, you can choose to hide it on certain domains or move it to the left or right side of your screen anytime. The Notepad is all about saving you time. There's no need to switch between apps or tabs to keep track of your brainstorming ideas with the free, unlimited notes available in this extension! For more tips on using the Notepad, check out this doc.